Antibodies & Supporting Tools | BioVision, Inc.
BioVision has recently expanded its selection of primary antibodies and their corresponding blocking peptides to encompass the majority of areas of current research interest. 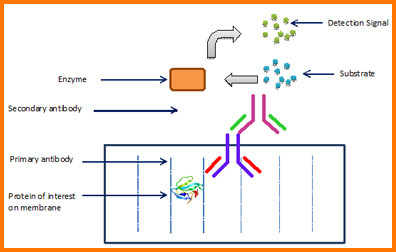 Our antibodies are manufactured using proprietary techniques which increase the specificity, decrease the background and are compatible with conventional protocols used in laboratories. These antibodies can be used for Western blotting and many have additional application for immunohistochemistry (IHC), immunoprecipitation (IP) and neutralization studies. We also offer a selection of phospho-specific antibodies, secondary (HRP-conjugated) antibodies, as well as, tag, marker and loading control antibodies. Our tag antibodies are able to detect the Myc-, GST-, His-, S-, DYDDDK-, CBP- and HA-tags. The HA-tag antibodies also include biotin and FITC conjugated detection antibodies. In addition, we offer the full range of fluorescent protein detection antibodies, recombinant Protein A/G/L/AG/AGL (as proteins, sepharose beads, magnetic beads and pre-filled column forms). Further support products include mounting media, chromogenic substrates and ECL substrate kits and some control nuclear and cell lysates. Western Blot Control Lysates, Blocking Buffers, etc.